Generator Crystal Point Properties and How To Spot One! 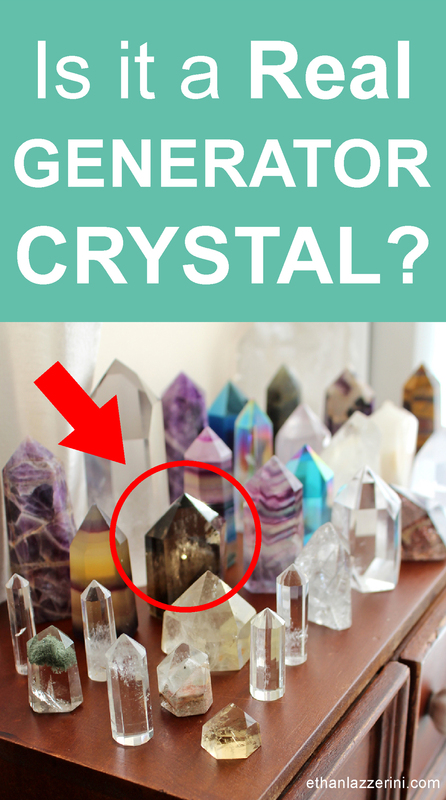 I have been getting a few questions about Generator Crystal Points, also known as Generators, Generator Crystals, Generator Points, Generator Quartz and Merlin Crystals. 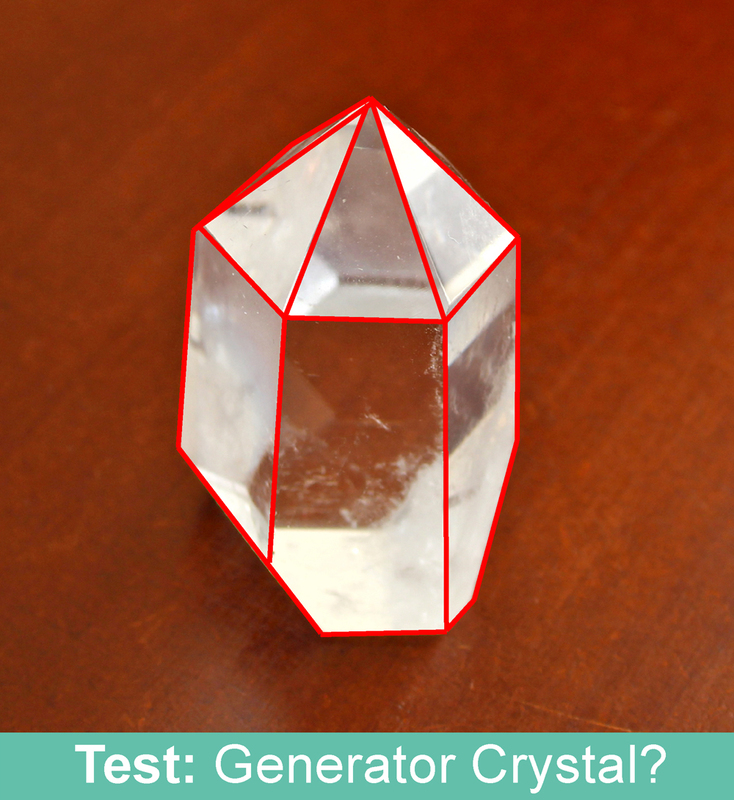 What is a Generator Crystal Point? Generator Crystal Points occur as a natural crystal formation of not just Quartz but also other types of crystal. The natural ones are special because they are rare. This formation is also commonly used in many cut and polished crystals for display, Standing Crystals Points (also known as Towers), Crystal Wands and crystal pendants. Some might say the natural ones have a much stronger energy (and I would agree) but both types work the same way due to their geometry. Generator Crystal? Pin this to Pinterest! I think it is important to remember that even the very best crystal sellers are human and can make mistakes. They may sometimes buy crystals from their suppliers that can have incorrect information on what they are. This formation can occur in different crystals and sometimes with other special features. It seems to be most commonly found in nature in Clear Quartz but you can also see it in Smoky Quartz, Citrine or Amethyst for example. If the crystal has been cut to shape then it can be made of any type of stone. Natural Generators do seem to be short and wide but there are exceptions. Cut Generators can be any length or width. 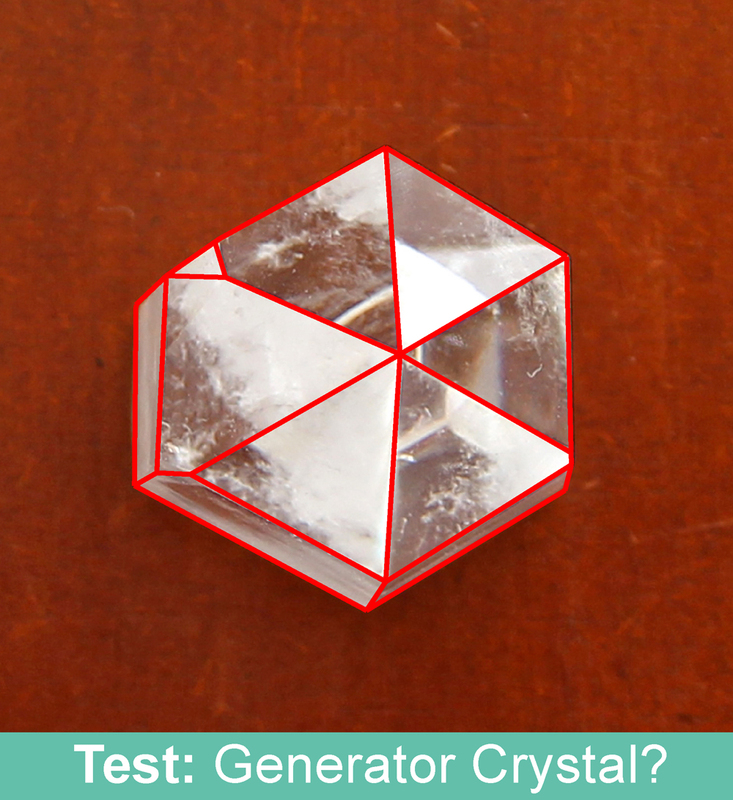 There are a few features that I feel must be seen that identify a genuine Generator Crystal. The first two are an absolute must. If anyone tells you different then they are basically saying that all Crystal Points are Generator Crystals, which makes no sense. (1) When viewed from above the termination point (the tip of the crystal) will be in the center. (2) The tips of all six faces must all meet together at the tip of the termination point. (3) The six faces are usually triangular shapes of similar size but not always. 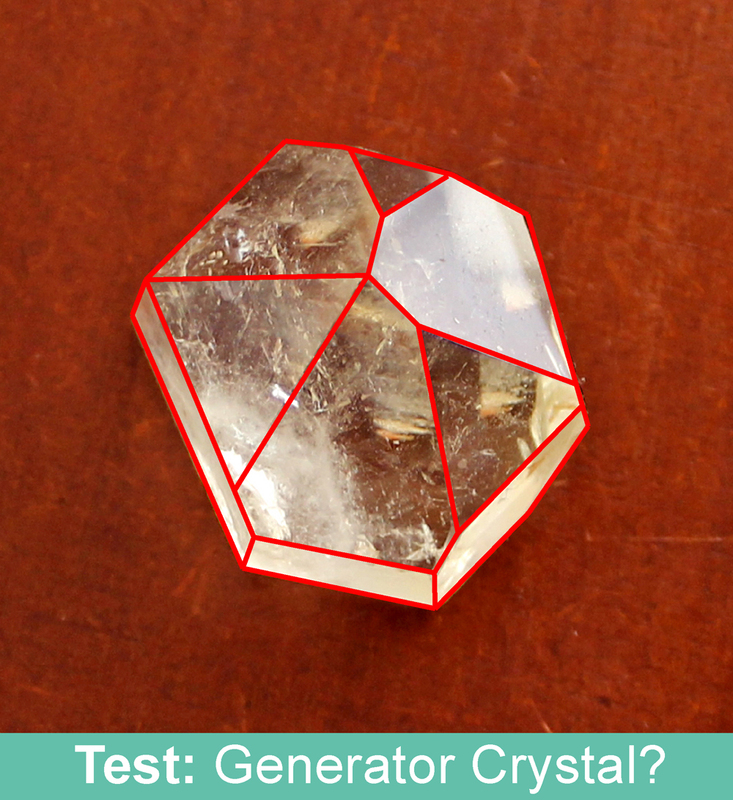 Strictly speaking the faces should all be triangles for a perfect Generator Crystal. This is easier to find as a cut and polished form than in nature. I used to be more strict about this. When some of the faces have four or more sides, are not all perfectly even sized or there is an extra facet, I call these near perfect Generators. With extra faces (Like a Diamond Window Crystal) these are okay as long as 6 faces reach the tip. In my opinion they have the same energy and work the same way but yes they are not perfect. Before we look at the energetic properties of these crystals let’s see if you can identify a Generator Crystal. Look at the photos below and see what you think. Below them in small text will be the answer. 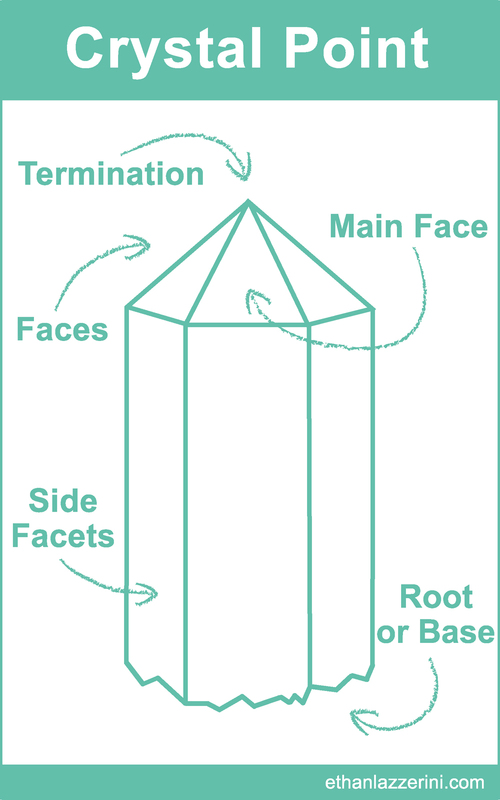 Answer: The triangular face does not reach the termination point. Not a Generator Crystal. Answer: One face is not a perfect triangle and there is an extra facet. Six faces still meet. Near perfect Generator Crystal. Answer: All faces are triangular and meet at the termination point. Perfect Generator Crystal. Answer: Two of the six faces do not reach the termination point. Not a Generator Crystal. As their name indicates Generator Crystals Points generate very strong and powerful energies. Generator Crystals enhance the properties of the crystal they are made from. They amplify and project their energies and our intentions out into the Universe. This makes them excellent crystals to use for the central stone in any Crystal Grid. They bring power to an Altar and energy to any room. They help balance Earth energies in a location. Generator Crystal Points boost energy and enhance all healing work. You can place one under a therapy bed for a crystal healing session or when doing any energy healing work. When worn as a pendant a Generator Crystal amplifies the healing properties of the stone and aligns all your Chakras. Used as a Crystal Healing Wand these crystals help cleanse, balance and align the Chakras. Generator Crystals replenish low energy levels and help regenerate a weak or drained aura. I have found that they help balance the energies of your Astrological Birth Chart or personal Numerology. They can help align you with your life purpose. How did you do in the test? I would love to hear from you in the comments below (Please keep any questions you have on topic if you want a response). P.S. If you know anyone who may be interested in this article please share it with one of the sharing buttons at the end or side of this post. Thank you so much for this, Ethan! I’d been reading recently about generator crystals but was unable to find the specific details I wanted. And then you came out with this, talk about timely for me! I was able to answer all the questions correctly thanks to you. You really rock!!! 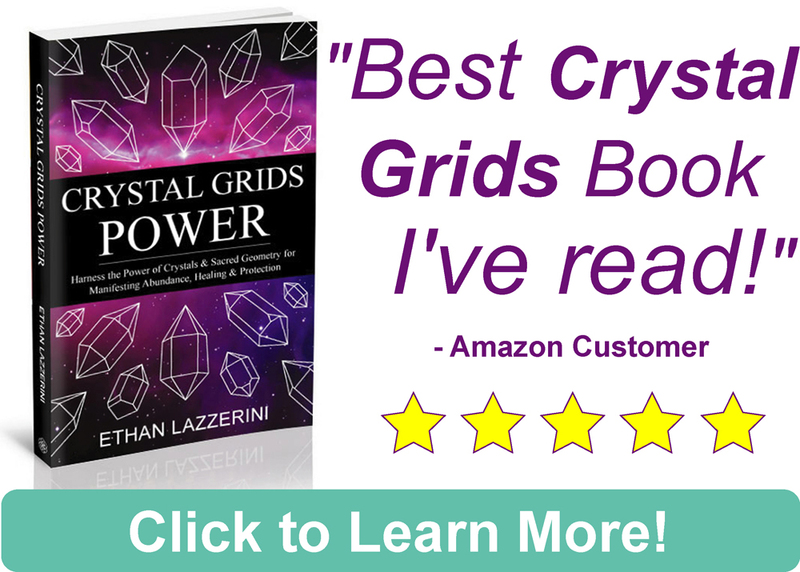 I wish this info came out last year, I am truly disappointed in some of the sellers that claim they sell crystal generators ( no wonder my grids seem “flat”) Thank You Ethan for this clarification. Thank you for another wonderful blog! I had suspected the generator I have was cut and I am glad to know that it still does have some energy! I appreciate your crystal wisdom! Thank you for the providing such wonderful and detailed information. When you mentioned generator crystals can be used to replenish low energy levels, regenerate weak auras, and help balance the energies of your Astrological birth chart to help align you with your life purpose, would you have some specific pointers and guidance on how this can be done? I would greatly appreciate any information you can provide. Thanks Hannah. With energy levels, aura regeneration and astrological balance I think wearing these crystals as a pendant would work well. They could also be used in the centre of a crystal grid for any of these purposes. Thanks to you, I Aced the quiz! I Am new to the world of crystals, gems and minerals. Truly fascinating! I am putting a safe travels grid together, for my daughter, and was wondering if you could suggest the proper generator? Thank you for sharing your time and knowledge. Great to hear Corrine! You could try a Smoky Quartz or some type of Jasper for the Generator Point if you can get them. Otherwise clear Quartz will do. How can I find out which specific type of generator crystals i should use for my astrological birth chart and how will I know when and that I am aligned with my life’s purpose? Thank you Ethan! I think Clear Quartz is perfect for this unless you are drawn to some other stone. If you’re living your life purpose you should know it. These are big long term goals and there are no easy answers or shortcuts. You must have a clear intention and programme your crystals for this purpose. 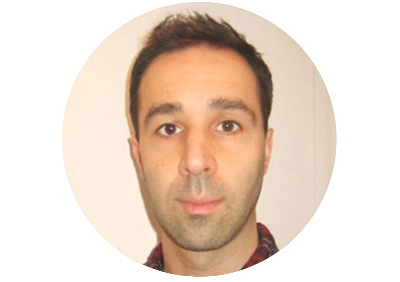 Thank you so much for explaining this important information and sharing your knowledge. I am going to check mine ….. I love the article its quite imformative and thank you so much! I have been hearing from several of people around me that the sharp points on the wand can hurt a persons aura when facing; is it true? I think you would need an intention while using a crystal to cut someones aura. I would not have a crystal point permenantly pointing at me where I sit or sleep because it just disturbs your energy. Thanks for the positive feedback and amazing support Erika, I really appreciate it. 🙂 I think the termination point of a Generator is what we need to focus on. Generators can also be mixed with other features and forms. I’ve been looking for a large clear quartz generator for a while without much luck. I’ve found one that is almost one. It’s actaully like your 3rd example in the how to spot a generator crystal diagram above, except the face that is slightly off is very close to the apex but not quite, which means the faces either side are not quite triangular the have a tiny extra edge coming off the apex making them (literally barely) 4 sided. The other 3 faces all terminate at the top perfectly. It’s VERY expensive, and being sold as a generator. Even though it’s not I wonder if it is worth the investment? What are your thoughts? I have a perfect generator in candle quartz that a got really cheaply probably 13 years ago… (not sure the seller realised what they were selling!). I’ve New we seen another perfect (natural!) generator before or since. I wonder if it’s worth the money paying a high price for this one when one of the faces doesn’t hire reach the tip and thus the 2 adjacent faces are nit you’re triangular.. do you think the energy will be close to that of a generator? I’m working on manifesting a major life changing goal and feel I want a very specific tool for this purpose. Not sure a very close but non-generator is going to be as useful as I’d like? I do already have a large clear quartz Dow along with my candle quartz generator and wonder if I should just stick with them? Decisions decisions! I hope to hear back soon with your thoughts/advice… the eBay auction ends in 36 hours! Hi Tim. There are many other reasons the crystal could be expensive, the seller may be pricing the crystal on other factors such as quality, clarity, size, location and beauty for example. Most clear quartz points can be used for manifesting. Candle Quartz I would use for other things. Cut generators and crystal Pyramids can be used for amplification too. It is really up to you though. Thank you for the wonderful article. I have been burned by the so many fake/manufactured crystal generators that are too”perfect” from China to Africa. Your article has definitely open my eyes of such crystals… one good thing these glass make are good paper wieghts. Does sphere work better than tower? I don’t think any are better. All shapes and forms suit different purposes. Pick one that suits the intention behind your grid. I have a crystal with all six triangles that meet at the top. there are no little ones that don’t reach the top so it meets that criteria, however, they are not all the same size triangles like the one in your illustration. Some of the triangles, the bottom of it is further down the base of the crystal. Is this still a natural generator? Thank you! Thanks for the feedback Caren. Thanks so much for getting my book too! Thank you so much for this article. I bought a stone not realizing that it wasn’t a generator, unfortunately but do love it. 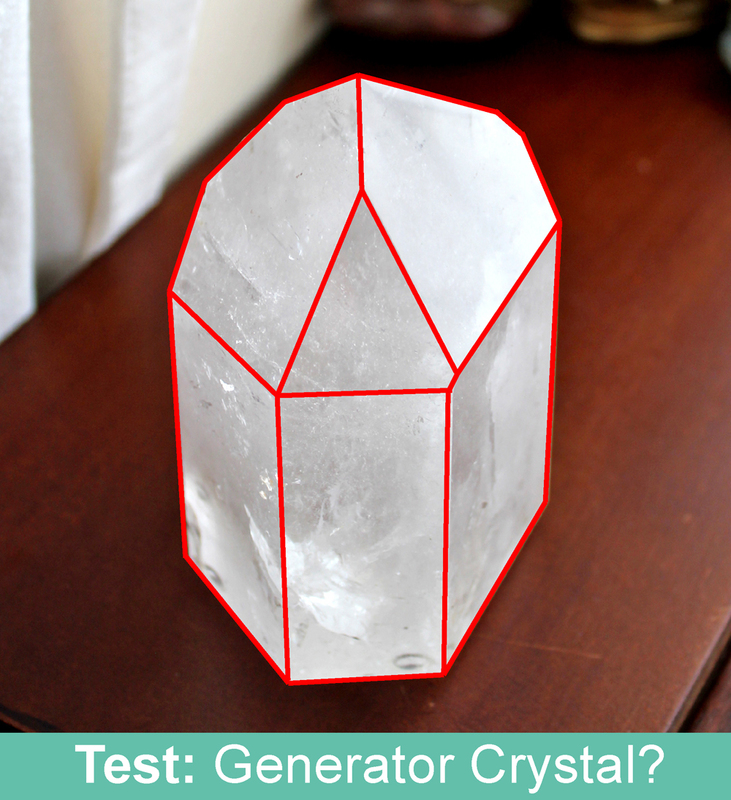 The one I have matches perfectly with the above and side views on the second row in your example of “how to spot a generator crystal” photo. What would that formation be considered? I can’t say without seeing a crystal. 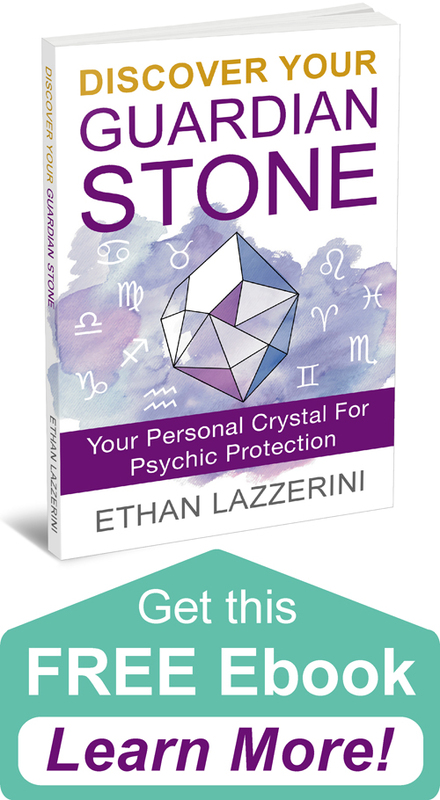 Not all crystal points have special names or qualities but you might want to look at my article on crystal formations and their meanings. How about those 8 sided ones instead of 6 do they count as a generator as well? That’s is a tricky one. As the cut points mimic the natural generators they are six-sided. Crystals with more sides will have a similar energy.